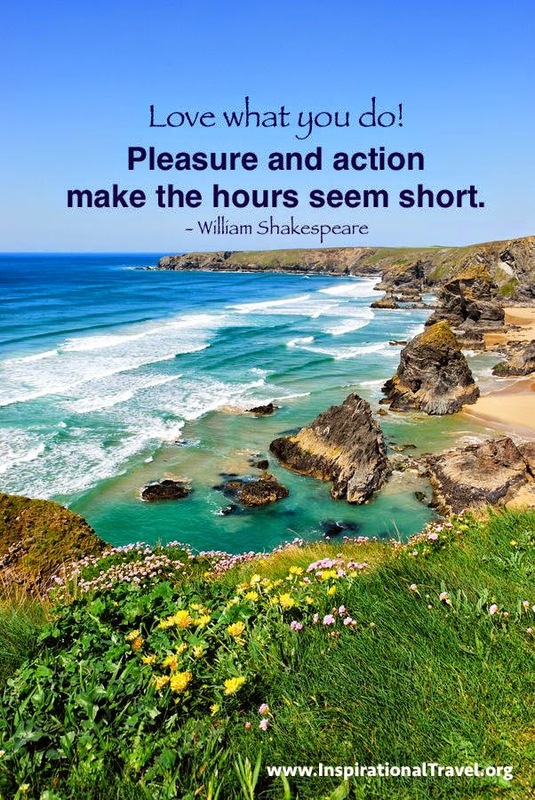 by the famous English poet, playwright and actor - William Shakespeare. "Listen to many, Speak to a few." "They do not love that do not show love." "Nothing can come out of nothing." 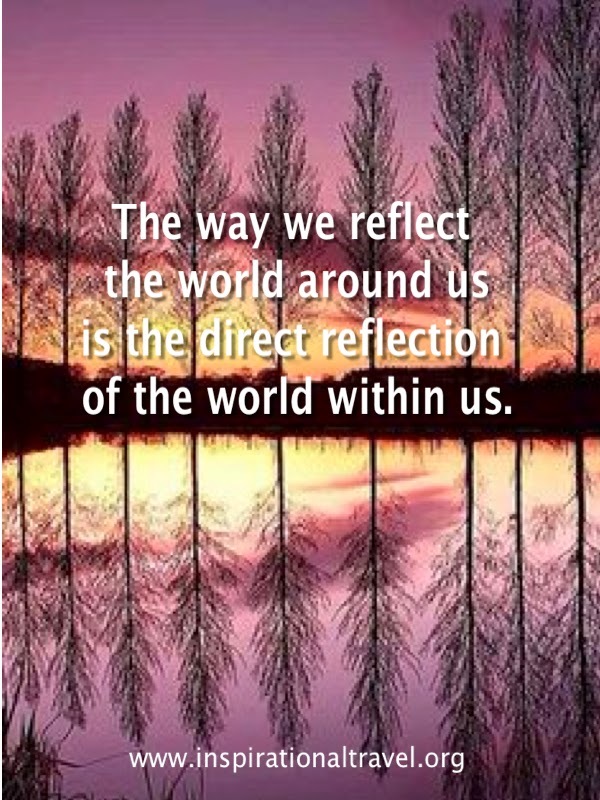 Inspirational Travel wants to share these quotes about the importance of Self Reflection so we can journey through life refreshed and focused. Life is not always smooth but listening and enriching our inner being in every experience can hopefully give us direction and meaning. 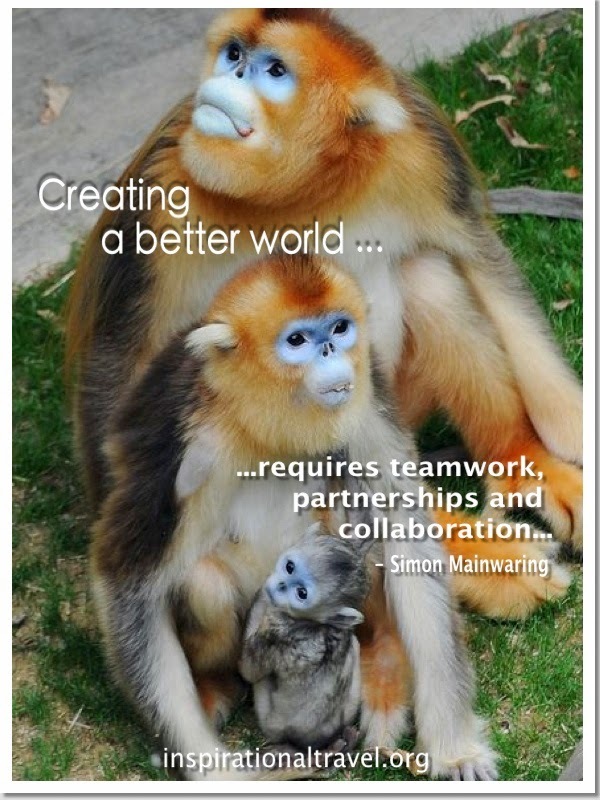 TEAMWORK QUOTES are inspirational sayings compiled by Inspirational Travel to help us realise that a good collaboration gives great inspiration. Long ago, a band of minstrels traveled from town to town performing music to make a living. They were not financially successful. Times were hard and there was little money left for common folk to spend on entertainment. So attendance was sparse. One night, the troupe met to discuss their plight - One said, "I see no reason for singing tonight. Its starting to snow. Who will venture out on a night like this?" Another said, "I agree. Last night, we performed for only a handful. Fewer will come tonight. Why not give back the price of their tickets and cancel?" A third added, "It's hard to do one's best for so few." Easter Quotes are sayings that will help us reflect on the essence of rising up, living anew and moving on. 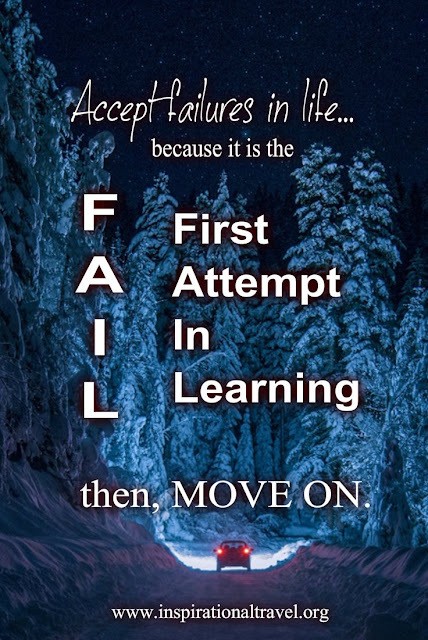 Accept failures in life because it is the First Attempt In Learning. Then, move on. The Lord will fight for you. Just be still. Fall seven times. Get up eight. 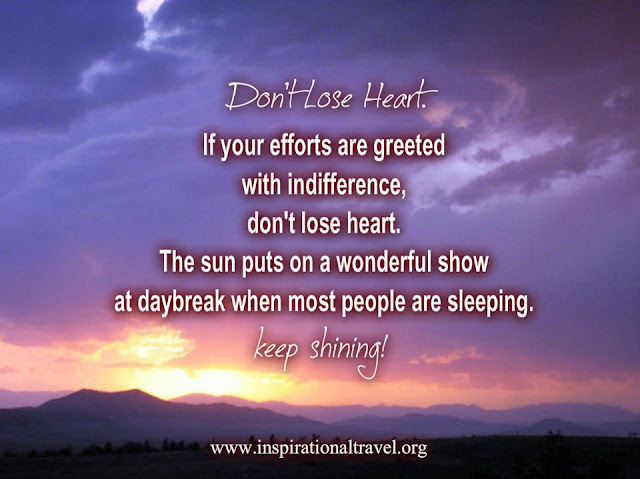 Dream Quotes is another inspirational quotes compiled by www.InspirationalTravel.org about reaching dreams and just keep believing. 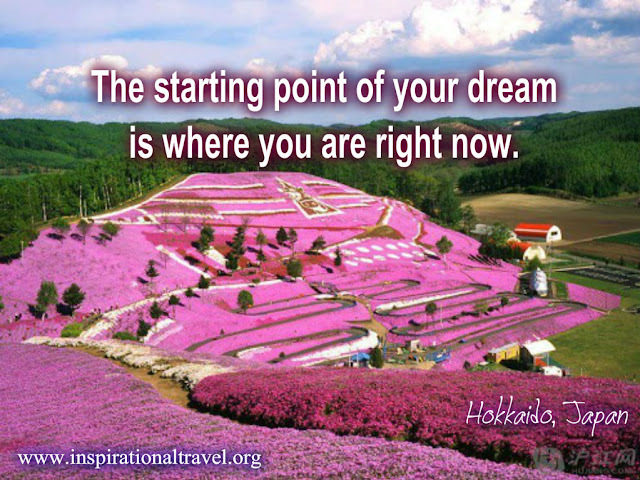 The starting point of your dream is where you are right now. Don't be pushed by your problems. Be led by your dreams. A river cuts through a rock not because of its strength, but because of its Persistence. Be open to whatever comes next. Good things come to those who wait. Good Quotes About Life is another compilation by InspirationalTravel.org of inspirational quotes about life. 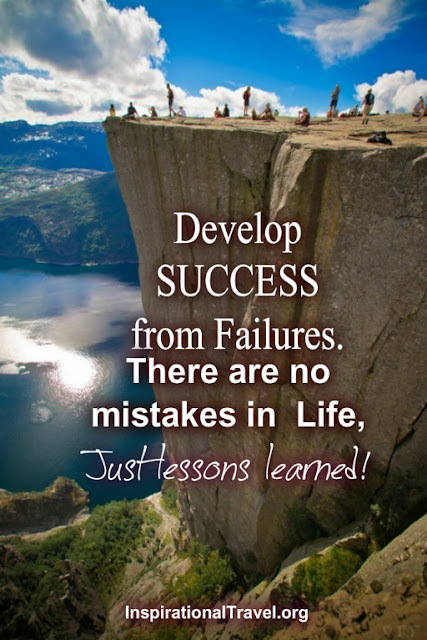 Develop success from failures. There are no mistakes in Life. Just lessons learned! 7 Rules of Life Make peace with your past so it won't affect your present.Don't think about what others think of you. It's your life, not theirs.Time heals almost everything. 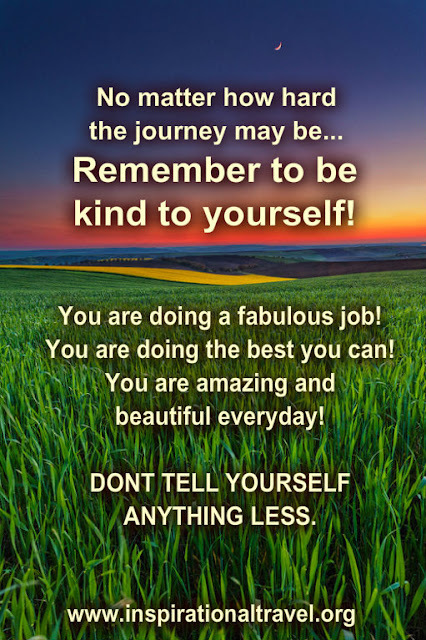 Take Time.Don;t compare yourself to others and don't judge others. Each of us have our own journey and stories to tell.Stop thinking too much. Worrying does not help except burden you.No one else is in-charge of your happiness except yourself. It is your choice.Smile. Count your blessings. All things shall pass. So enjoy everything! Dance like no one is watching. Love like you've never been hurt. Sing like no one is listening. Live like heaven on earth.